Inbound marketing is all about creating content that appeals to target customers so that they’ll not only engage with your brand, but also naturally want to come back for more. Sometimes, creating that content means thinking outside the box. 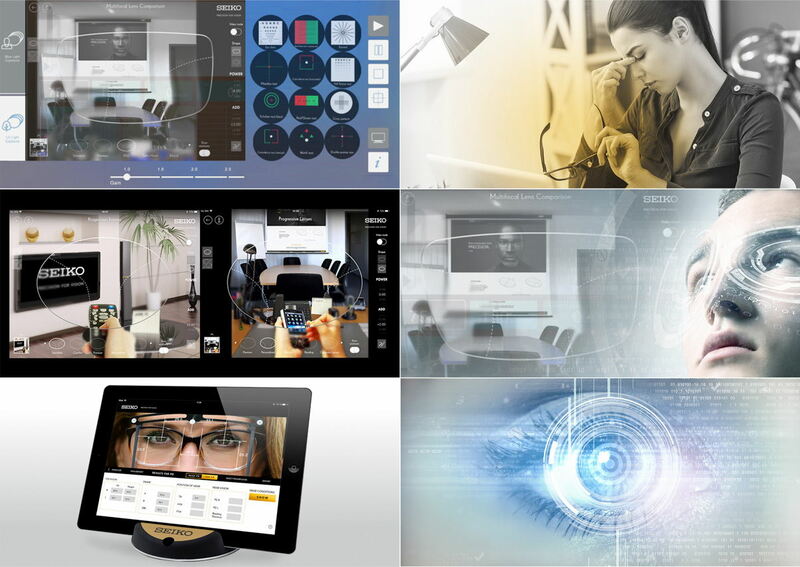 At Mojo Media Labs, that’s exactly what we did for one of our prized clients: SeikoVision. We took a topic (patient education) that was appealing to their target audience (eye care professionals) and created something they couldn’t resist: an infographic that the ECPs could print out, laminate and display in their practice. The result? Ridiculous increases in visits, contacts, conversions, leads and marketing-qualified leads (MQLs). Before we get into this success story, here’s a little information about us. For starters, we’re a HubSpot Diamond-Certified agency based in Dallas, Texas with a staff of 12 inbound experts. We love using both sides of our brain to give clients remarkable value and results. To accomplish this, we have a client-based, pod-style team structure at Mojo Media Labs with two teams: Team Vail and Team Breckenridge. SeikoVision falls under Team Vail, led by Account Manager Sonja Gray. Our CEO is Michael Rose and our president is Nikole Rose. There’s a pretty good chance you’ve heard of Seiko. The company has been around since 1881, when Kintaro Hattori first opened a watch and jewelry shop in Tokyo, Japan. But did you know Seiko has been selling optical glass lenses and frames since 1942? 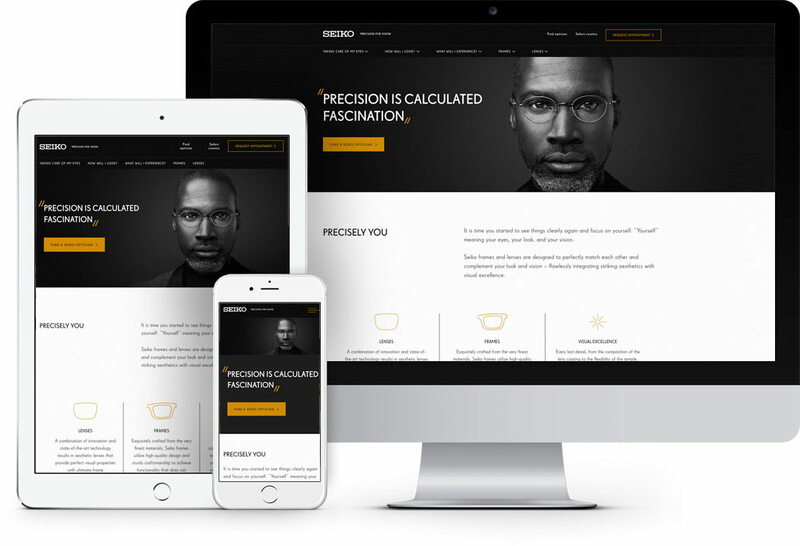 In March of 2014, Hoya Corporation acquired 50% of Seiko Optical and put its efforts into bringing the new brand of SeikoVision to the forefront in the U.S.
Website visits: We launched their new website (using HubSpot marketing software) in December 2015 and began promoting it in January 2016, so we had to really focus on getting visitors initially. We ran a press release to get the ball rolling. Social following: When the site launched, there were three total fans and followers on all social media accounts (Facebook, Twitter and LinkedIn). Right before the blue light infographic ran, there still were only 104 total fans and followers, so it would be difficult to leverage social media. Relevant content: While we supported the website with campaigns, offers, blogs, CTAs and other elements of inbound, there wasn’t really any content that took off. To overcome these challenges, we had to identify and create a piece of awareness content that would resonate with visitors. We soon realized that helping eye care professionals better educate patients was the way to go. One area of patient education that’s been a hot trending topic in the eye care industry recently is blue light — specifically, how blue light can lead to age-related macular degeneration. So we tested a blue light-themed email. The results were impressive, so we decided to pursue an educational piece on blue light. "Could we make this bigger?" "What about making it an offer?" "How can we make the offer even more appealing?" We ultimately decided to do a campaign centered on an infographic that the ECPs could print out, laminate and display in their practice. To make it even more appealing, we offered to print it out and laminate it for a limited time. “Placing yourself in the content consumer’s shoes throughout the design process for any piece is the top priority. 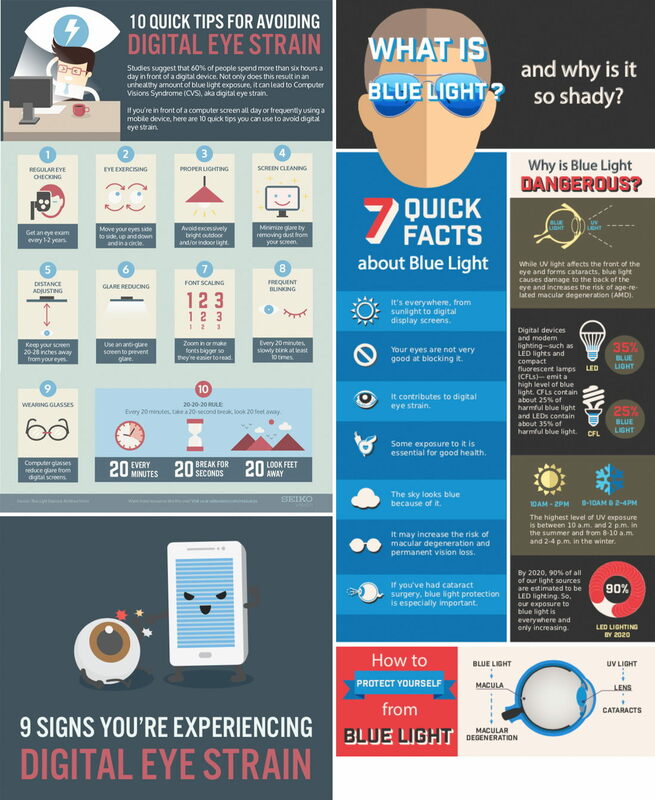 For the Blue Light infographic, this meant creating a piece that would be eye-catching enough to grab a patient’s attention away from their smart phone while waiting in an exam room. Secondly, I knew the information needed to be presented in a memorable and consumable layout. Using icons and diagrams reinforce main points and lead the eyes around the information, while the catchy title draws the reader in from first glance. Of course, the overarching purpose behind any infographic is for the visitor to not only view but to retain the information you’re providing. It is an educational tool, after all." After the design was approved, we created all the supporting content and were ready to push it live. The campaign took off immediately. Landing page: In just a two-week span, the blue light infographic landing page had 571 views, 152 submissions (a conversion rate of 26.62%) and 78 new contacts (13.66%). Not bad for a new client! Social media: Since we had a limited social media following, we ran a paid Facebook ad that targeted the entire United States. So far this has resulted in 49 landing page conversions with a cost of just $5 per conversion. Email: Our email marketing numbers exploded, partly due to the popularity of blue light and partly due to our HubSpot Email Marketing Certification. Opens increased by 237% and clicks increased by 220%. Leads and MQLs: Finally, we’ve seen a 33% increase in leads during this campaign and a 945% increase in MQLs (11 to 115)! The campaign isn’t over, either. We fully expect numbers to grow as we utilize this content for the foreseeable future. The numbers are great, but what really makes this infographic such a huge success? It has expanded SeikoVision’s list of contacts and leads, but more importantly, it gives us enough information to qualify marketing-qualified leads (and nurture them). After all, the form on the landing page wasn’t short — it included specific questions about patients per week, roles, challenges and more. But since the infographic has such a high perceived value to these ECPs, they didn’t mind completing it, thus giving both marketing and sales more information about turning these MQLs into customers. That’s what inbound is all about.